RangeBay is available concrete mounted 1 to 10 bays or wheeled 1 to 3 bays. Range Bay features ‘Range Shield’ a high quality fabric construction which allows natural light through, providing an exceptionally bright, pleasant interior atmosphere. The fabric does not allow harmful UV rays to penetrate, is waterproof and is incredibly resistant to rips and tears. 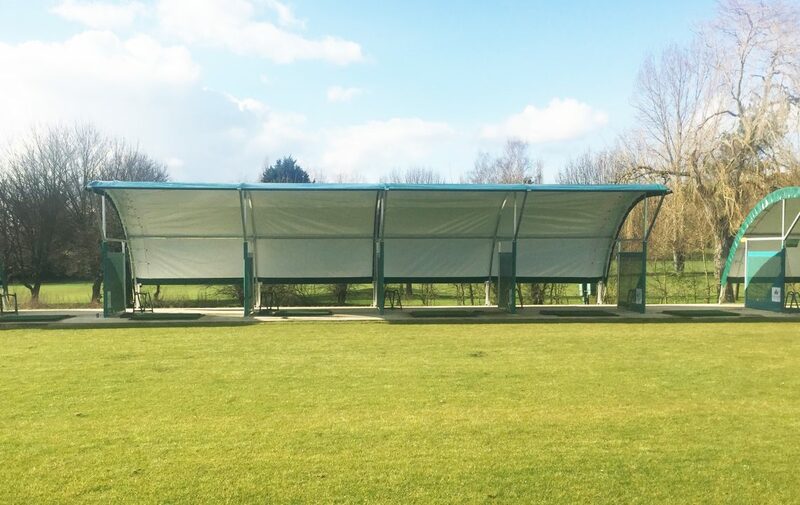 Range Shield also reduces the conduction of heat and cold ensuring a structure that is warmer in the winter and cooler in the summer. Produced in the UK, RangeBay features premium galvanised steel framework, which outperforms competitive products in rust resistance and corrosion three to one. The unit is a year round structure that can remain standing in any weather conditions. 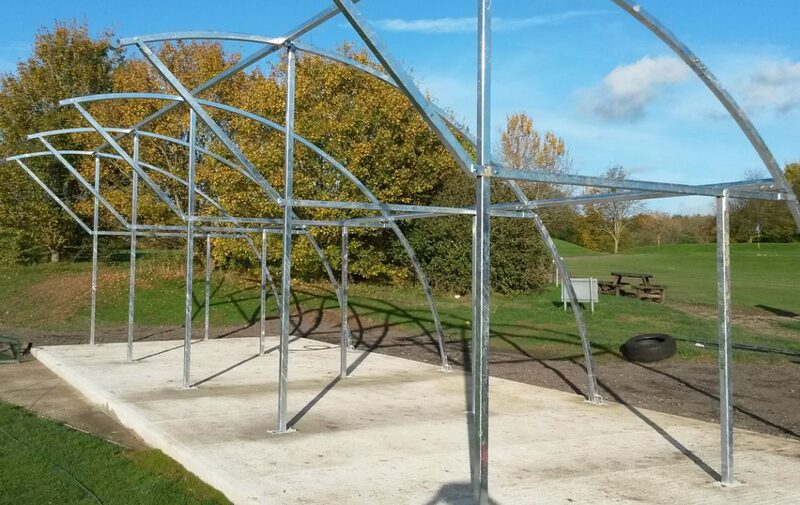 The structure is available in 12 foot (3.6m) wide bays, from a minimum of one bay up to 10 Bay in one construction. Width from front to back is 17′-3″ and is 11′ in height providing plenty of room behind and above for video teaching.